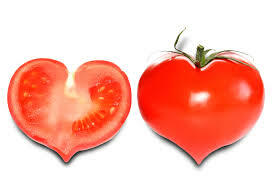 My love of tomatoes began with my great-aunt Stella. “Got a taste for tomatoes and vinegars,” she used to say. She had another name for tomatoes too–“wolf apples.” I don’t know where she got it–I was a little girl then and didn’t question my elders, but being of a fantastical turn of mind, I thought of werewolves ’cause I only knew about regular apples and if there were wolf apples, I figured werewolves must eat them. Ma Stell grew a passel of tomato plants on a napkin of land next to her house on the levee. Big, fat, scarlet globes hanging from vines, giving off that pepperish green scent. 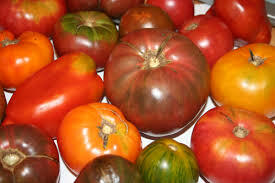 She’d pick a couple, slice them, add salt, pepper, sprinkle on white vinegar, and, during the humid south Louisiana afternoons, we’d sit in the shade of the screen porch and enjoy our tomatoes. That was my introduction to the delectable tomato. Sliced, with salt, pepper, and vinegar is still my favorite way to eat them–only I’ve kicked up to balsamic vinegar. And it’s not a respectable green salad if there’s no tomato in it. Believe it or not, some restaurants will serve a green salad with just lettuce and dressing. The horror! After college, living on my own in Southern California, I encountered cherry tomatoes, grape tomatoes, pear-shaped yellow tomatoes, heritage tomatoes! Got my first taste of those at a fancy restaurant–a purple and a yellow sliced and served with balsamic dressing and a little endive. Up until then, I’d been content with the flavorful red–when I could find them. I wasn’t too happy with the pretty but less than flavorful “wolf apples” at the local grocery store. The farmer’s market became my friend. 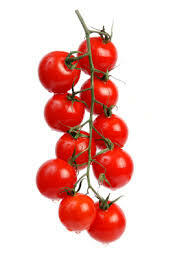 Nothing enlivens the acidic depths of a salad like the lush honeyed flavor of grape tomatoes. 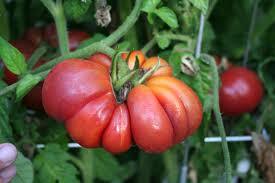 Did you know tomatoes used to be considered poisonous? 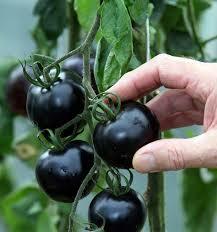 According to Wikipedia, the tomato plant belongs to the deadly nightshade family, and was erroneously thought to be poisonous. 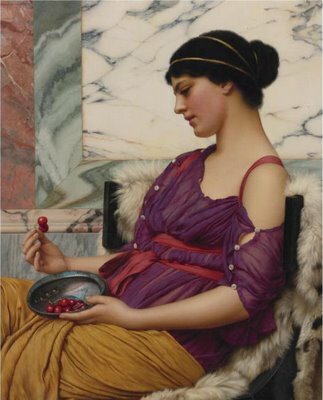 But that idea was quickly dispelled once people discovered the luscious taste of the succulent fruit. Tomatoes dress up so well. Quartered into salads, (except the pear-shaped yellows should be left whole or only sliced in half), they shimmer like jewels against the green melange of lettuces. Scoop out some fat ones, fill with guacamole (chop and mix the scooped out part with guacamole), stick a chip or two on top, and you’ve got a party tray. 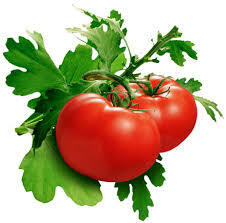 But the nicest thing about the tomato is it takes me back to those lazy afternoons on Ma Stell’s screen porch. Knowing my obsession with the vampire, a writer friend tossed me an engaging question … does the vampire have a soul? Traditionally the vampire was considered a soul-less creature, having lost its soul to eternal damnation by becoming a blood-drinking monster. I expect someone will remind me that vampires are … not … real, so what’s there to talk about? And they are so right. But I can’t help my idiosyncratic leanings. My head long ago floated off my shoulders and hovers in the clouds. No, I do not believe in vampires (or ghosts, witches, zombies, demons, etc. 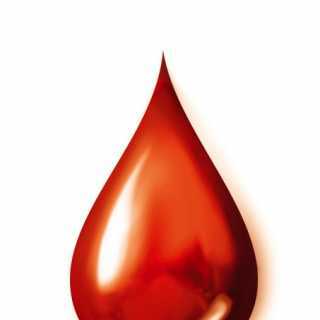 ), but as a fantasy writer, I find the things that come out of the human imagination fascinating, especially that alluring and dangerous monster, the vampire. 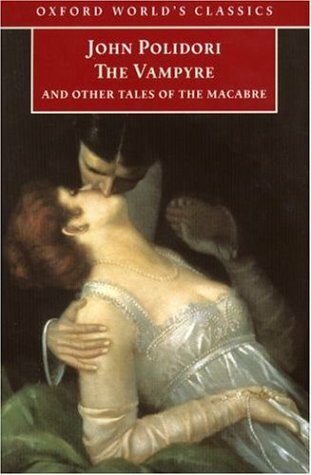 We’re familiar with Dracula, (published in 1897), but Bram Stoker did not invent the vampire or the vampire tale. 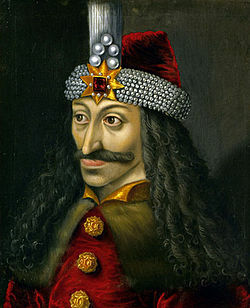 He created Dracula based on the historical Vlad III, Prince of Wallachia known as Vlad the Impaler, and East European folklore, primarily Romanian. That same folklore was used by John William Polidori in his creation of the deadly, cruel, day-walking vampire Lord Ruthven in The Vampyre (1819); also by Sheridan Le Fanu in writing his seductive vampire Carmilla, (Carmilla (1871), and by James Malcolm Rymer, creator of Varney the Vampyre or Feast of Blood (1845-47), (also attributed to Thomas Preskett Prest, but now thought to be the work of Rymer). All were part of the sensationalistic literature of the vampire, a myth that pre-dates the rise of monotheistic religions and can be found in nearly every culture around the world. When there is not a logical explanation or when one cannot be found for one phenomenon or another, people tend to create one—that’s how we get folklore. The folklore of the vampire was born from ignorance and superstition about the dead and dead bodies. It’s not only nature that abhors a vacuum; the human mind isn’t too fond of it either. The English clergyman and vampirologist Augustus Montague Summers, states in The Vampire: His Kith and Kin: Throughout the whole vast shadowy world of ghosts and demons there is no figure so terrible, no figure so dreaded and abhorred, yet dight with such fearful fascination, as the vampire. Additionally, he reminds us: There is no more terrible tradition than that of the vampire, a pariah even among demons. A pariah even among demons. Wow. That’s a damning statement, and begs the question, does the vampire have a soul? We have no proof that the soul exists, that there is an amorphous entity inside us that can be called the soul, but we feel we have something more within us, don’t we? We express ourselves as if the soul does exist: “Bless my soul.” “Save my soul.” “She’s a dear soul.” “God took his soul.” (Better than the alternative!) “He sold his soul.” “All Souls Day.” In the Holy Bible, the soul is a prime subject. There are vampires who have a soul and vampires who do not. The canonical vampire’s soul was considered damned for all eternity. In the Francis Ford Coppola film, Bram Stoker’s Dracula (1992), the iconic character was more than willing to give up his soul in vengeance against God, swearing to never die and live in defiance of God for all time. In the television series Angel (1999), Angel, was the vampire with a soul (given back his soul as a curse to never know happiness.) When Angel loses his soul, he becomes Angelus, a soul-less demon vampire from Hell. There is Saint-Germain, the compassionate and caring heroic vampire in Chelsea Quinn Yarbro’s series of novels, first introduced in Hotel Transylvania (1978). Saint-Germain definitely has a soul. “If this is about my soul,” Bella Swan declares in Stephenie Meyer’s vampire romance New Moon. “Take it! I don’t want it!” But we know Bella’s soul stayed with her even through her death and revival as a vampire. Edward Cullen tells Bella his soul is damned so never mind. But the Cullens are most compassionate, foregoing the traditional vampire’s diet of human blood in favor of the blood of animals. I’d say the Cullens have souls, but the Volturi—not! Anne Rice’s romanticization of the vampire in her series of novels, The Vampire Chronicles, beginning with Interview with the Vampire (1976), altered the iconic view of the vampire as loathsome and evil, a soul-less creature by virtue of its murderous existence, killer of the innocent. Anne Rice presented the vampire as a beautiful, irresistible, predatory being tortured by its existence (You can’t be tortured by your existence if you don’t have a soul.). Whether we can prove it or not, we think we have a soul. The vampire was once human, so the vampire has a soul too. The soul doesn’t get up and walk out after the vampire’s victim is given the Immortal Kiss. However, the other side of the coin is damnation. The vampire may retain his soul, but according to tradition, it is lost to redemption. No longer a repulsive, soul-less creature in contemporary books, television, and films, the vampire has become an elegant being dealing with the issues of immortality and attempting to reconcile its undead existence within the realm of Life, and yes, contemplating the dilemma of its soul. On a different note, I’ve got a few miscellaneous posts and 3 essays planned for the blog, one focuses on vampires, The Dark Angel’s Dilemma. I hope to have it up soon. I’m doing July Camp Nano and all my writing time is devoted to wrestling with the outline of my fantasy novel, Chained. It’s about a married vampire, a deal with a demon, chained souls, and breaking the deal–so far. I sent A Useful Blind (formerly Sleight of Hand) out to betas and have comments back. My birthday was July 4th, and my best friend gave me Caitlin Kiernan’s The Ape’s Wife and Other Stories, which I’ve wanted for ages. 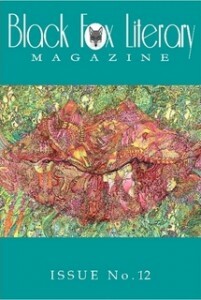 My short story, Dust, may be lingering a while longer. Yes I’ll have another slice of procrastination pie! 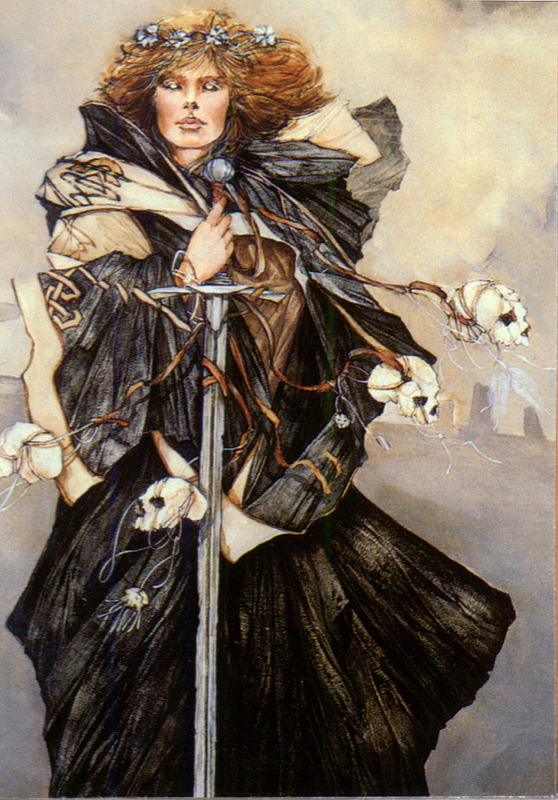 My evocative post set me to thinking about my favorite books, particularly my favorite vampire novels. I love so many books that they are all favorites really, but then there are those particularly special books that still make my reading heart butterfly and I’ve read them over and over. Their delight never fades for me. 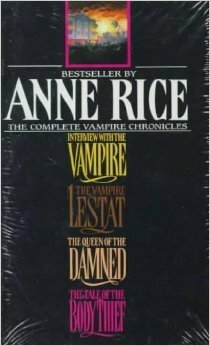 The Vampire Chronicles, particularly Interview with the Vampire by Anne Rice and oh yes The Vampire Lestat. Before I discovered Interview with the Vampire, I’d read only two other vampire novels, Dracula by Bram Stoker and I Am Legend by Richard Matheson. Didn’t surface for days while reading Interview with the Vampire. 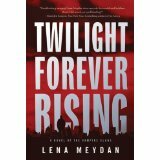 Twilight Forever Rising, by Russian writer Lena Meydan. 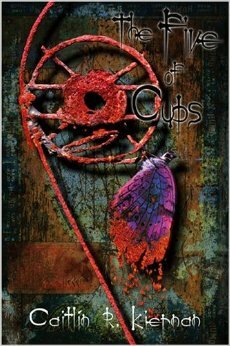 Despite its title, similar to Meyer’s, this was one hell of a good vampire novel. A thriller, It tells the story of vampire Darel Ericson of the Dahanavar clan caught in the machinations of the other vampire families and particularly targeted for death by one clan’s ambitious scheme to bring war to the vampire Houses and gain free reign over humanity. Somewhere I read a sequel had been published in Russia. I hope it gets translated and distributed. 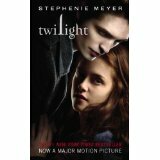 Twilight by Stephanie Meyer (I enjoyed all four books (and all five movies), but the first book is my favorite. It may not have been ideally written, but it told a compelling story.) People sneer at Meyer’s glittering vampires (don’t know why given the great variety of vampires to be found in today’s books and movies, like vampires who eat solid food and use the bathroom), but I think she found a great way to solve the problem of daywalking vampires (no bursting into flame) by giving them stone skin that glitters in sunshine (and marks them as non-human and supernatural) and connects to the canonical view of a vampire’s skin as extremely white and highly reflective (yes, like Lestat’s). I don’t find the Cullens and the Volturis at all “like rainbow ponies and fairies.” And they bite. And their bite is torturously painful with none of that romantic ecstasy found in other vampire books and movies. The Five of Cups by Caitlin Kiernan. Favorite line from this book, “Sunrise was still a long way off, and Gin’s heels clicked down the Atlanta sidewalk like castanets played slow.” Can’t you hear the rhythm of her stroll? I loved this book not only for the high quality writing, but also because it encompasses the Gothic, the ragged urban reality, and mid-nineteenth century history in a fascinating tale of vampires in the contemporary world. This list is but the tip of the iceberg! 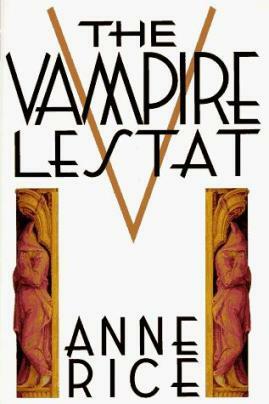 The Vampire Lestat by Anne Rice. Bourbon-Vanilla Ganache infused with Provencale Lavendar, enrobed in Venezualan Dark Chocolate by Z Chocolat. A far from mundane chocolate for an aristocratic vampire unlike any other–shameless, witty, egotistical, and exotic. Lestat remains my favorite vampire. 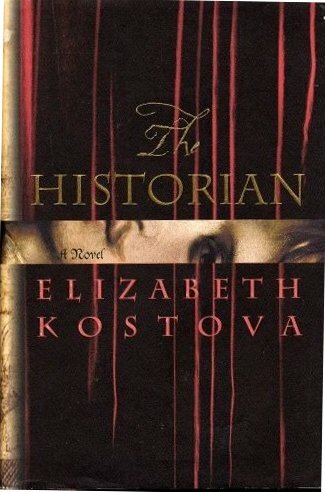 The Historian by Elizabeth Kostova. Dark Chocolate Caramel with Black Sea Salt by Z Chocolat. I fall into this book every time I read it and am overwhelmed with the desire to visit Eastern Europe. Her descriptions of the Slovenian countryside, of the Roman town of Emona, and particularly of the art-nouveau teahouse where the narrator and her father took their tea, bear the richness of caramel wrapped in dark chocolate. I love the way Kostova combined folklore, myth and history, salted with the mystery of Vlad the Impaler, whose dark history formed the basis of the legend of Dracula to create a story that never fails to draw me straight through from the first page to the last. Madame Bovary by Gustave Flaubert. Strawberry Chocolate Cream gowned in Milk Chocolate. 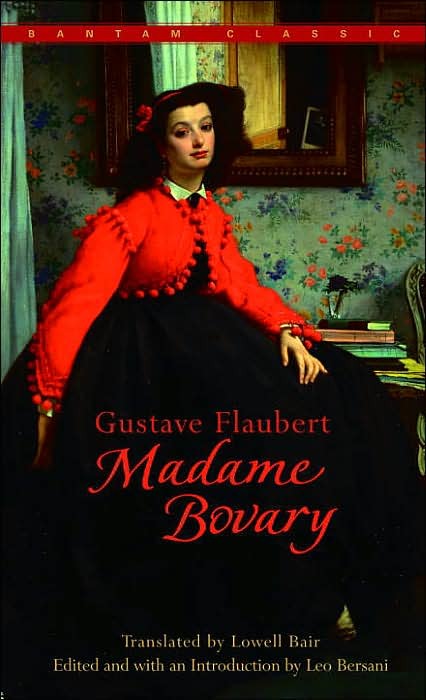 I’m entranced by the perfection of Flaubert’s prose, the beautiful and precise details of each scene that conveyed Emma Bovary’s foolish behavior, her hungry romanticism, her desperate desire for a refined and glittering life, and her tragic end. Henry James described Madame Bovary as “ideally done.” True. I tag Ruth Kozak whose first novel, Shadow of the Lion, an historical novel about Alexander the Great, is slated for publication in the United Kingdom in 2014 by Media Aria-CDM Publishers. And I tag Rebecca Lang. Books and chocolates–what say you? I’m back for a hot minute! 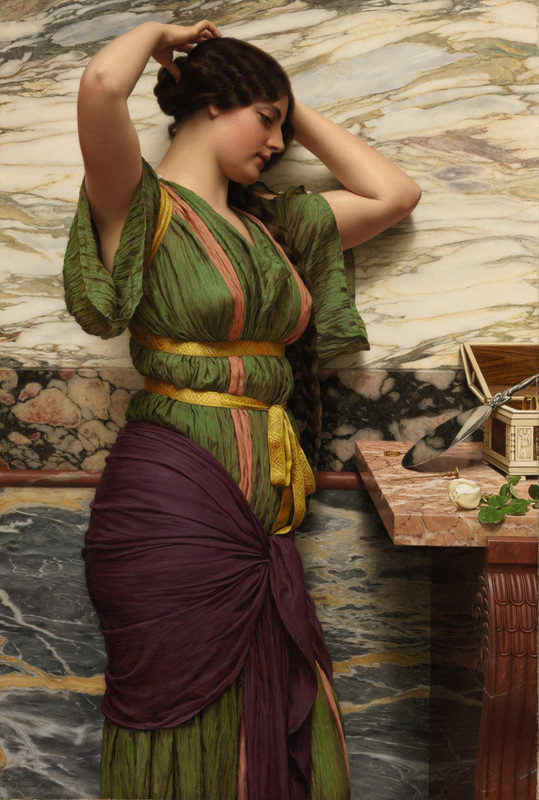 Should blog more often but hey you’ve got to have something to say, right? I’ve been caught up in writing Sleight of Hand, and, by the way, it has a new title, A Useful Blind, weighs in at 14,690 words. The second revision edits are finished and I’m about to launch into the third and, I hope, final revision and edits. I like both titles, but I think the new title speaks better to the story. Had a successful reading at last Saturday’s writers group meeting too. The weather this past week has been all blue and gold, hot, sunny days–summer’s back! Also I’ve got a great vampire essay planned, have written the introduction and now wrestling with how to get into the heart of the question: do vampires have souls? I’m thinking I may end up writing a series of essays–there is so much material and ideas have been popping up and waving. The essay is entertaining, informative, and plain fun to write! I hope it’ll be fun reading too! And I recently rejoined RWA. I belonged to the Orange County chapter years ago. Since I’ve got Romancing the Night and Chained on my agenda, both of them vampire romances, I decided to reconnect. The OCC RWA is a terrific group of writers and the meetings are always a kick! Not sure if I’ll get to all those things, but as a friend said, set your goals high and you won’t fall short.